I’d just like to say thank you to the NICU and all that you do for the babies who need you! 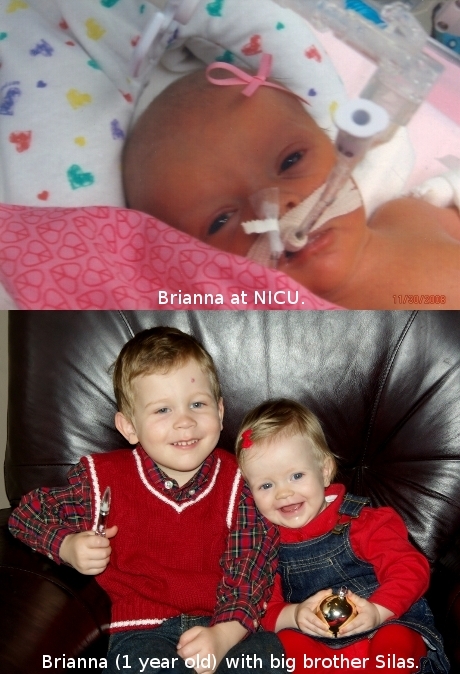 Our little Brianna had to have surgery within 24 hours of being born, plus she was born almost a month early. NICU did such a great job. I really have confidence in the staff. They always made us feel comfortable, answered all our questions, and helped us in every way possible. I must say that Akron Children’s is a top-of-the-line hospital, and I thank the Lord that this is where my baby was able to be during her first month. Brianna is doing wonderfully now. She is a happy baby and growing up so fast! Thank you so much for all you do. May God bless you all.